These antique basins, many of them centuries old, were found in the southern part of China and traditionally were used to grind grain and other food stuffs. 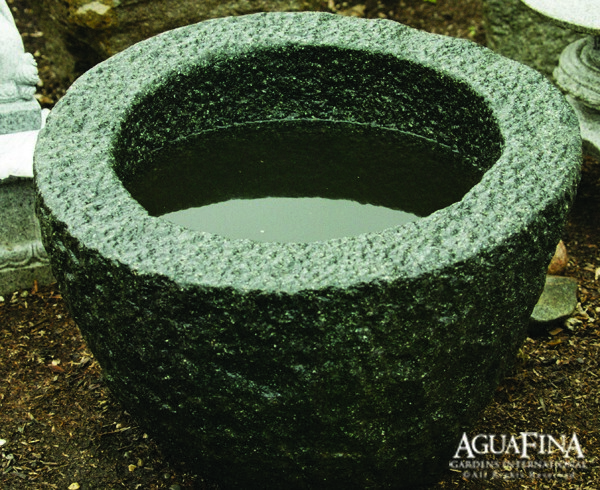 Blending beautifully into any type of garden setting, we have used these pieces as basins for fountains or as architectural accents. Basins and natural stones that hold water are also commonly found along pathways or at entrance way of Asian influenced gardens. Each reclaimed piece is unique in its character with differing shape, size and type of granite or stone. AGB24 – 17″ Tall x 24″Dia – $1,045.00 and up.